Mobile applications tend to ask for users’ location in order to improve the service they provide. However, aside from increasing their service utility, they may also store these data, analyze them or share them with external parties. These privacy threats for users are a hot topic of research, leading to the development of so called Location Privacy Protection Mechanisms. LPPMs often are configurable algorithms that enable the tuning of the privacy protection they provide and thus the leveraging of the service utility. However, they usually do not provide ways to measure the achieved privacy in practice for all users of mobile devices, and even less clues on how a given configuration will impact privacy of the data given the specificities of everyone’s mobility. Moreover, as most Location Based Services require the user position in real time, these measures and predictions should be achieved in real time. In this paper we present a metric to evaluate privacy of obfuscated data based on users’ points of interest as well as a predictive model of the impact of a LPPM on these measure; both working in a real time fashion. The evaluation of the paper’s contributions is done using the state of the art LPPM Geo-I on synthetic mobility data generated to be representative of real-life users’ movements. 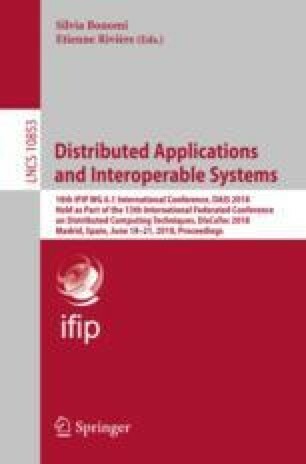 Results highlight the relevance of the metric to capture privacy, the fitting of the model to experimental data, and the feasibility of the on-line mechanisms due to their low computing complexity.